After chilling on lower ground, swimming in the waterfall, eating lunch and napping on the rocks in the sun, we stopped at this higher vantage point for a photo and a final look at Sossego. I'm writing this post retroactively as I haven't been on the computer much. In an unexpected turn of events, Daniella decided to head back to the U.S. after our trip to Rio. 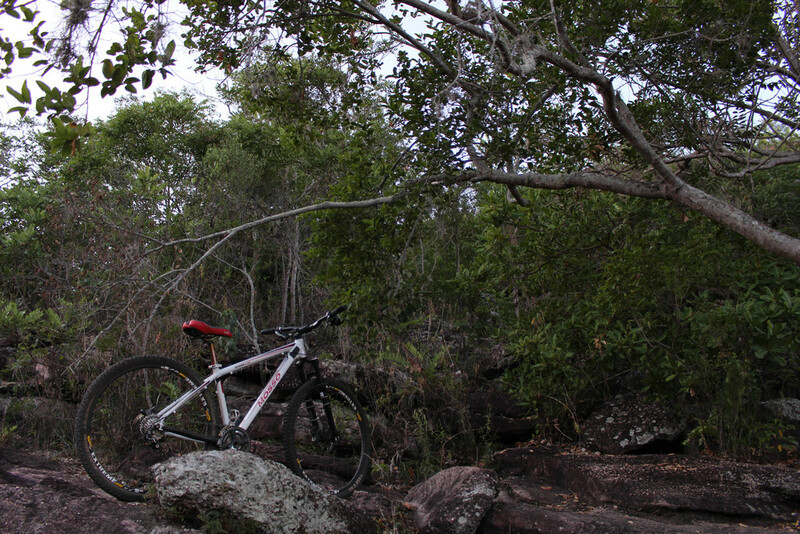 She burned her leg on the motorcycle at Vidigal, so she didn’t want to risk taking that wound to the wilderness. Major bummer but congrats to her for making it to 14 countries in 6 months all on her own. Incredible. Daniella looking rad and hip in all of her travel gear. 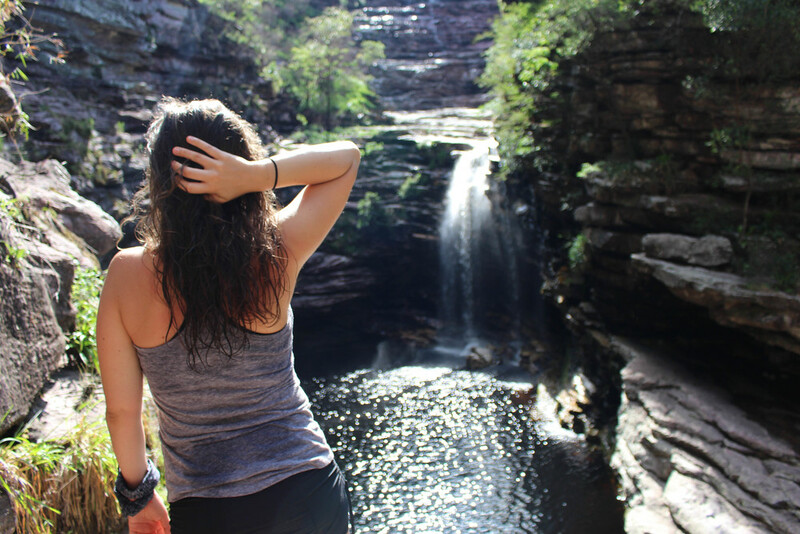 Fast forward to the present: Marina and I are currently in Chapada Diamantina - a massive national park in the northeast region of the country. It is an epic place. Seriously unreal. So vast, diverse, and stunning. There's nothing like nature to make you feel small and insignificant in the best and most nurturing way possible. We flew to Salvador, Bahia from Sao Paulo 5 days ago, stayed one night there (I’ll post about that later - another incredible city) then took a 7-hour bus ride here to our home base town where I’m writing from: Lencois, Bahia. Flights out here are rare, as it’s still a pretty underdeveloped destination. It's not overcrowded because few people are willing to take a 7 hour bus ride. 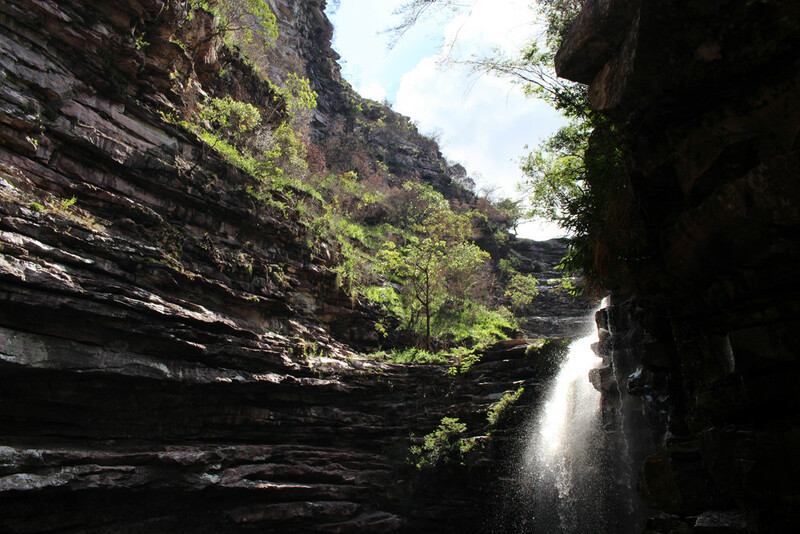 From Lencois, (which is, by the way, the most gorgeous, safe, and mellow town I’ve ever been in) we have been taking day trips out to Chapada’s landmarks. We’ve seen caves, waterfalls, rolling hills, rainforest, gigantic plateaus, coffee farms, villages, and so much more. There’s nothing Disney about this place. It’s natural and real. An absolute gem on earth. After arriving around 10pm and getting a good night’s rest, we woke up bright and early Saturday morning ready to head to Sossego - a beautiful waterfall along the river. 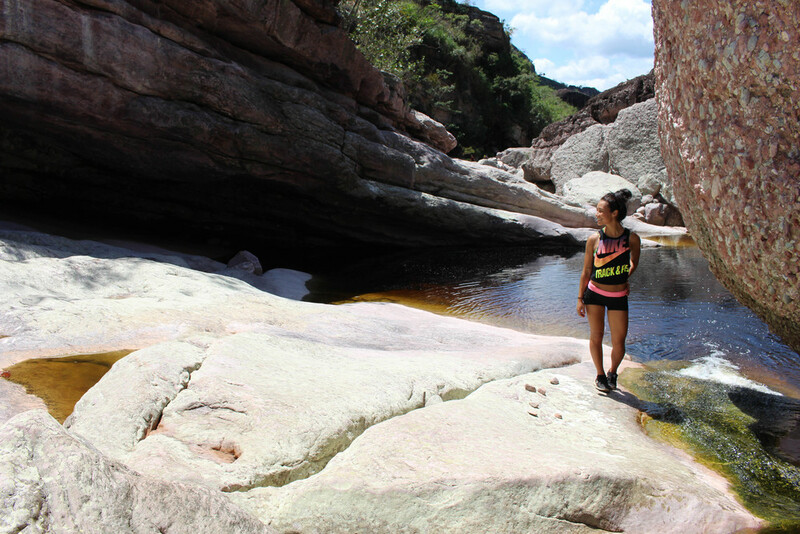 It was a pretty tough 14km hike through a canyon. We embraced the challenge and savored every step. Sossego is only the second waterfall I’ve ever seen in my life (the first was in Oregon last year with Thosh which was also really cool! ), so to see one of this magnitude and to be able to swim in it was just an incredible feeling. I didn’t get any photos of myself actually *in* the waterfall, because at the moment my camera was the furthest thing from my mind, but it did happen and the event will live in my memory. Many, many things have happened since Sossego, but for now I’ll just share the photos from that day and play catch-up with the rest later on. I am vey much at peace and enjoying my time with my dear friend Marina. We are both relaxed, happy, and full of love for this land. Loving the warmth of these rocks. Marina is ready to go! 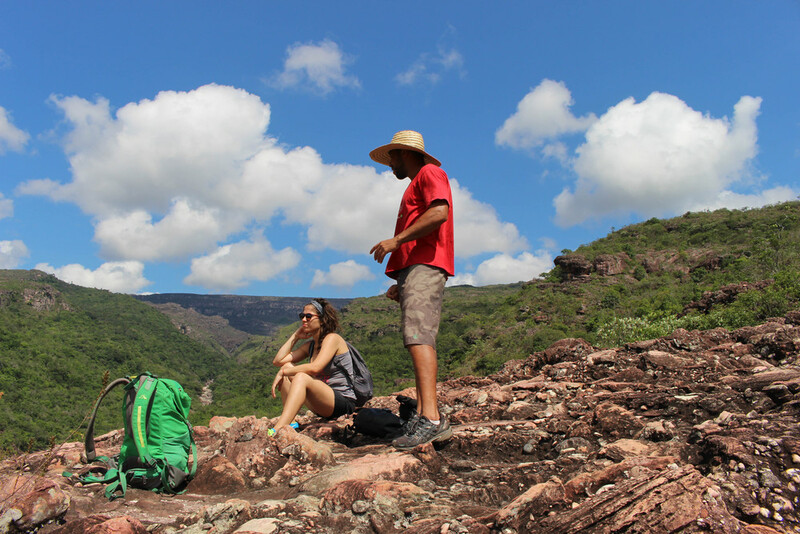 Our guide, Abellio, was born and raised in Lencois and knows the ins and outs of the land and history of the region. He is also very speedy and keeps us moving quickly through the challenging parts of the hikes. 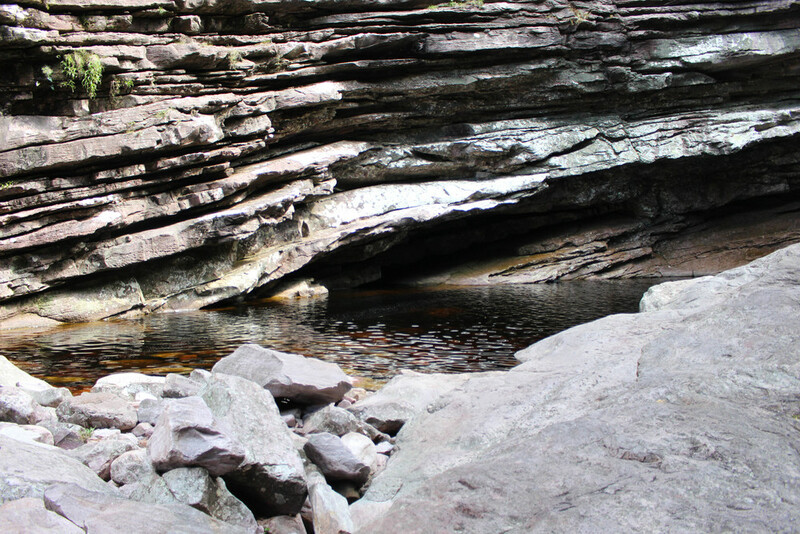 Water reflecting on the rock walls. An upward view from the canyon. Filling our bottles with natural spring water. So refreshing and clean! Stopping for a snack on the return path.